1. 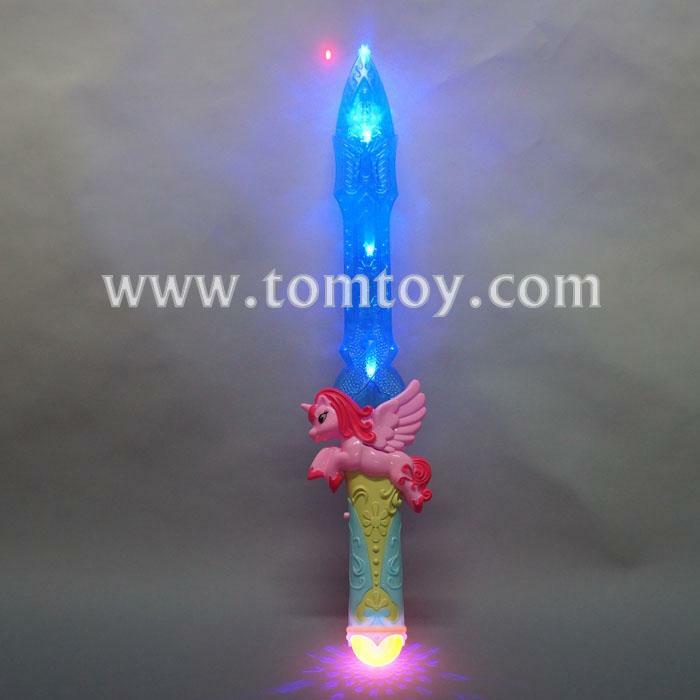 Light up unicorn sword is absolutely perfect gift for Unicorn Theme parties and many occasions. 2. Come with 4 bright Blue LEDs with flashing function and sound. A red laser on the unicorn's head. 5. Created more funny to kids and adults.